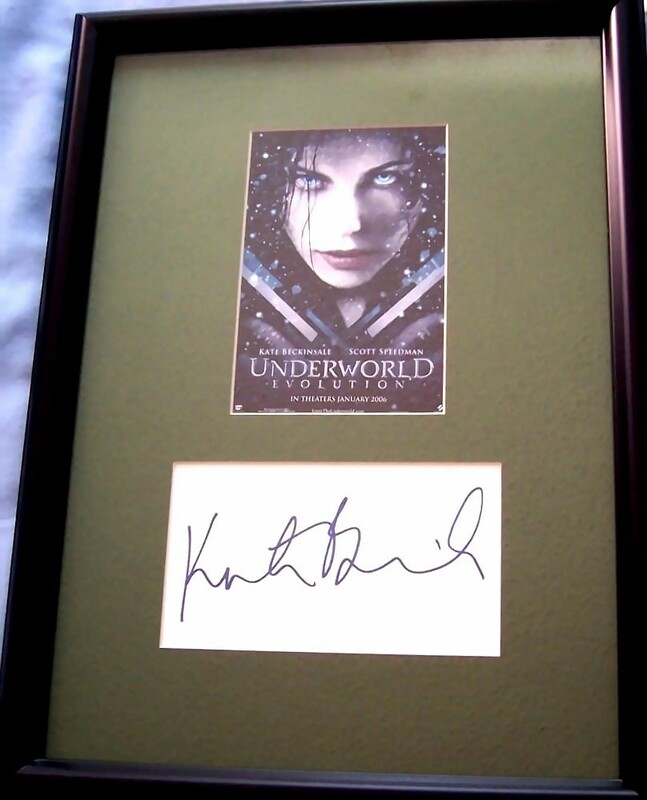 Large Kate Beckinsale blue marker autograph on plain white paper professionally matted and framed with a promo postcard from the Underworld Evolution movie, ready to hang. ONLY ONE AVAILABLE FOR SALE. Obtained in person, with certificate of authenticity from AutographsForSale.com.